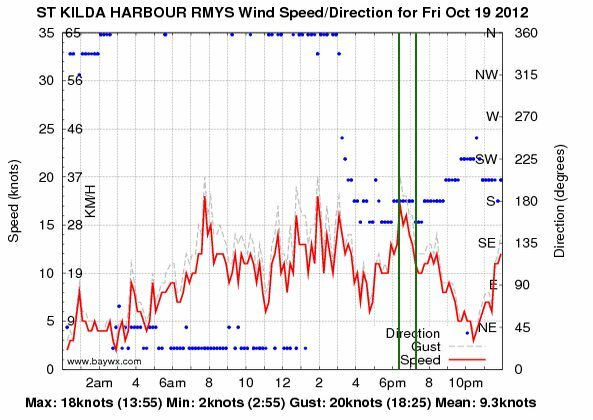 Stuart, Tarren and I had our gear ready for a kitesurfing session after work as Predictwind forecast showed a sea breeze during the afternoon. We met at Port Melbourne in balmy conditions with no wind. Tarren eventually left as he was going out. After thinking nothing would happen, the wind picked up, so Stuart and I headed out. 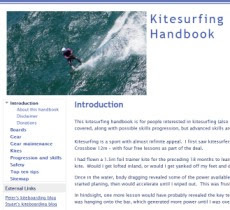 I was flying on the Sector 60 with my 12m Noise kite, I made it to St Kilda on a single tack (!) then returned. I even depowered the kite. I had plenty of power and speed, but doing a pre-turn gybe on the Sector 60 proved tricky. Its been a while since I have been on this board. No problems gybing left to right though. I came close to the Spirit of Tasmania a couple of times and could see people on the deck watching, as well as cars loading via the bow. It was great to get this session in after work. 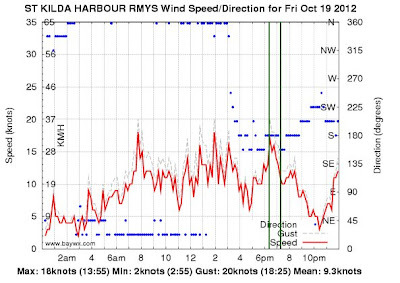 The advantages of the Sector 60 board are clear - I had a fast upwind session when Stuart was having trouble going upwind at all on his twin tip.